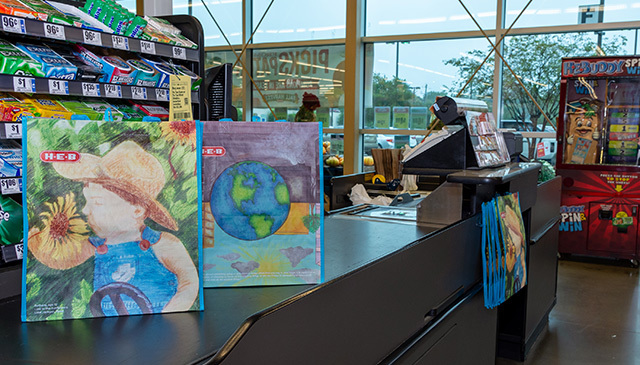 The Periwinkle Foundation and Texas Children’s Hospital have teamed up with H-E-B to offer limited-edition reusable shopping bags featuring original Making A Mark artwork created by children touched by cancer and blood disorders at Texas Children’s Cancer and Hematology Centers. Just in time for the holidays, the bags will be sold in various H-E-B locations in the Houston and McAllen area as an effort to help raise awareness about childhood cancer. The one-of-a-kind shopping bags highlight artwork from past Making A Mark artists, Bethany and Blanca. Lost in the Sunflowers by Bethany, 12, showcases a young boy in a cowboy hat admiring a vibrant sunflower in a sea of rich foliage while Untitled by Blanca, 15, depicts the different outlooks on life by showcasing the positive and negative through bright and dark colors. 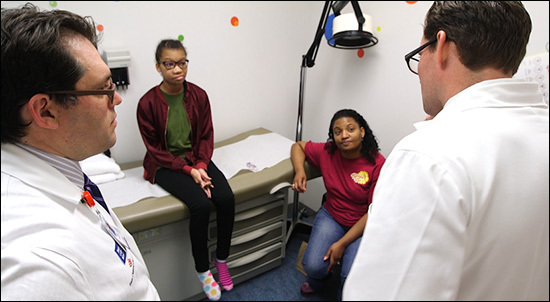 Since 2001, The Periwinkle Arts In Medicine Program at Texas Children’s has brought unique opportunities for self-expression, empowerment and development of coping skills to patients and their families while enhancing the healing environment and treatment experience in a variety of settings including outpatient and inpatient care areas. 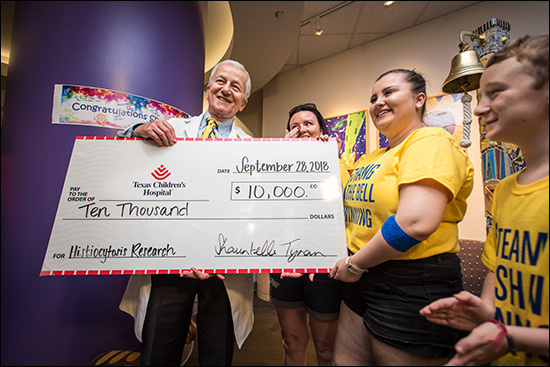 Periwinkle’s Arts and Creative Writing Program culminates each year in Making A Mark®, a travelling exhibition of more than 350 pieces of art and creative writing by children and teens touched by cancer and other life-threatening illnesses. These limited-edition bags will be available for sale at more than 30 H-E-B locations across Houston while supplies last. 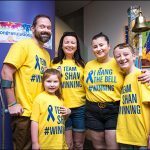 Diagnosed with a rare cancer called Langerhans cell histiocytosis, Shauntelle Tynan traveled 5,000 miles from her home in Ireland for a cure. 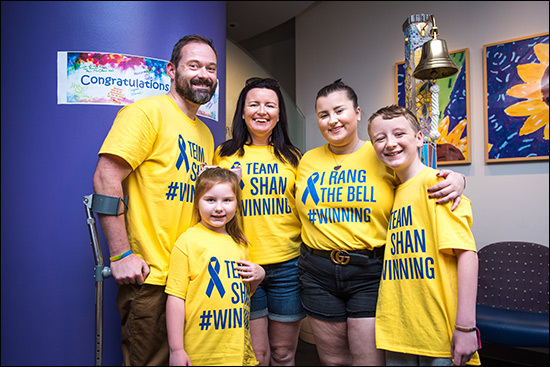 Earlier this month, Shauntelle rang the end-of-treatment bell at Texas Children’s Cancer and Hematology Centers! 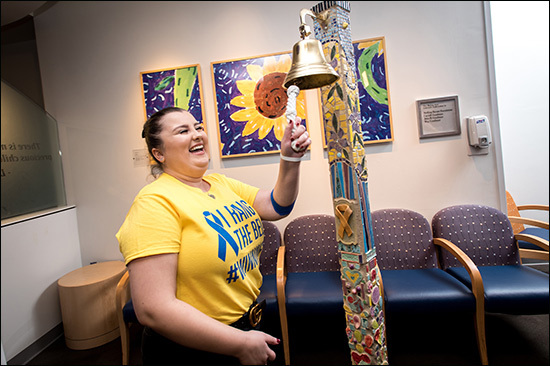 During her bell ringing ceremony, she surprised Dr. Kenneth McClain, director of the Histiocytosis Program, with a donation toward histiocytosis research. A very special and emotional moment surrounded by family and friends. 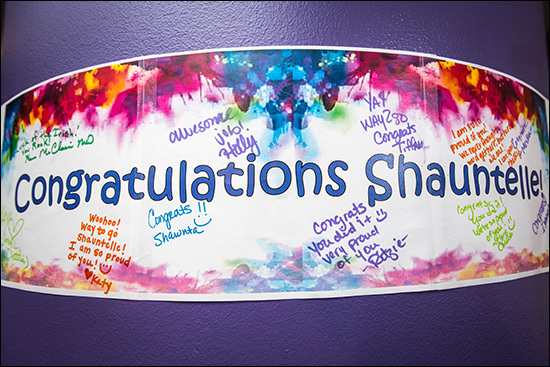 Join us in congratulating, Shauntelle! 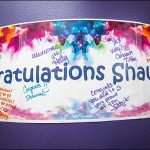 To learn more about her journey, read Shauntelle’s blog at Texas Children’s Blog. 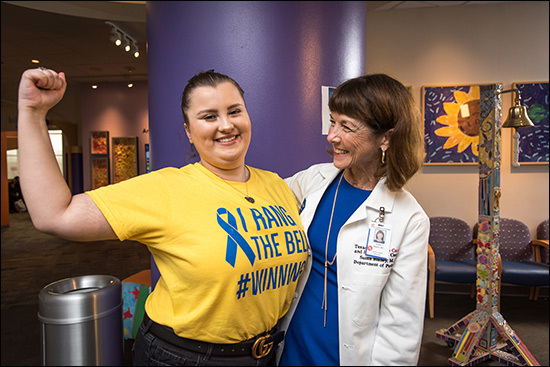 A world-class, multidisciplinary team at Texas Children’s is making huge strides in the care of children with extremely complex tumors. The Head and Neck Tumor Program, begun in February 2016 as collaboration with partner institutions within the Texas Medical Center, has performed more than 20 major ablation free-flap multidisciplinary cases – a staggering number, considering the rarity and complexity of the tumors, which can be malignant or benign and can affect any combination of the sinuses, skull, jaw, mouth, neck and face. 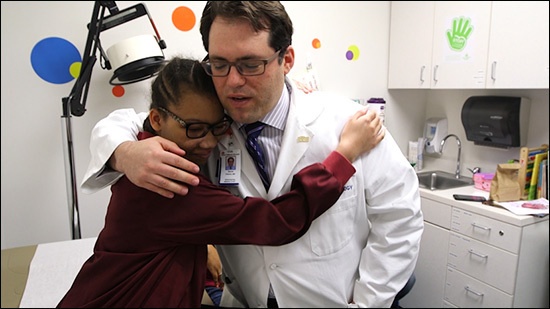 The ability to handle that volume of complex cases, combined with tremendous outcomes in the first two years, puts Texas Children’s Head and Neck Tumor Program among the best such programs in the country. Treatment of children with head and neck tumors around the country has historically been ad hoc, due to the varying functional issues or oncologic needs present from patient to patient and the extreme rarity of the tumors in any given city. Compound these complex physiological issues with the fact that most children these tumors have been treated in adult hospitals and the result has been a largely disjointed approach to care. 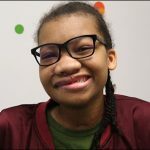 Texas Children’s Head and Neck Tumor Program, spearheaded by Chelius and Dr. Edward Buchanan, chief of Plastic Surgery, has developed a coordinated process around a multidisciplinary team approach that builds crucial experience in the treatment of these rare tumors and provides consistent, personalized care for patients – like 15-year-old Kami Wooten. Last year, Kami began to notice swelling in her gums. Just months later, a benign tumor had covered half her face and threatened her vision. 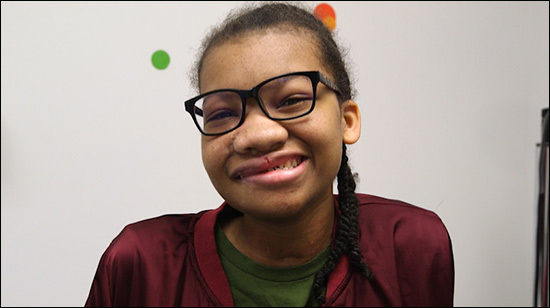 The team at Texas Children’s developed a specialized care plan that included removing the mass and reconstructing a portion of her face including the roof of her mouth and her orbit (eye socket). Additional procedures will be necessary in the future, but Kami and her family are grateful for the care Texas Children’s gave them. Learn the rest of Kami’s story here. 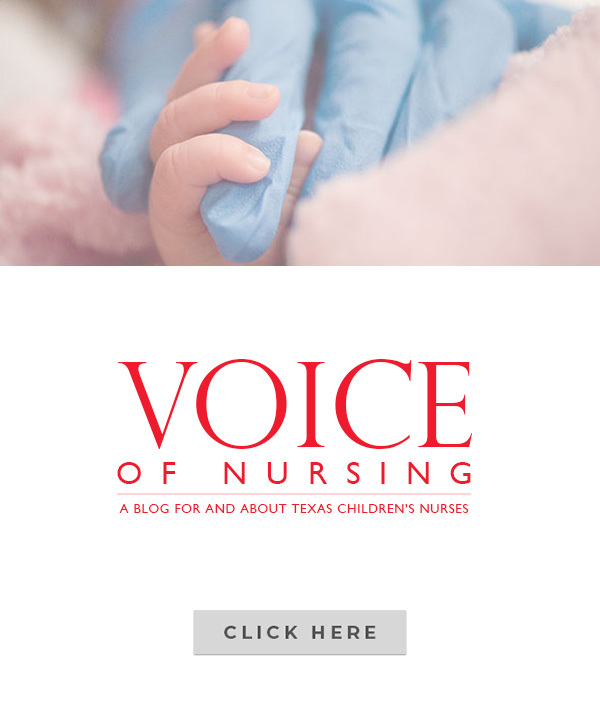 The collaborative program comprises more than 10 Texas Children’s specialties and subspecialties, including Otolaryngology, Plastic Surgery, Neurosurgery, Oncology, Interventional Radiology and Anesthesiology, as well as a dedicated operating room team – led by Audra Rushing and Kelly Exezidis – that has been instrumental in building robust perioperative protocols. 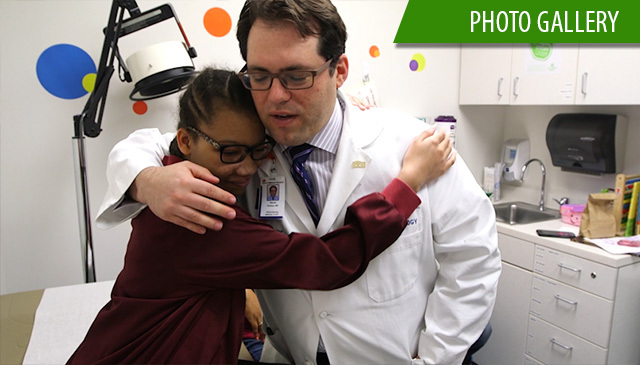 The additions of pediatric head and neck surgeon Dr. Amy Dimachkieh and microvascular reconstructive surgeons Dr. W. Chris Pederson and Dr. Marco Maricevich have increased the program’s abilities and improved the quality of its recommendations. The care required to treat these tumors, particularly if the patient is also undergoing cancer treatment, can also take a massive emotional and psychological toll. 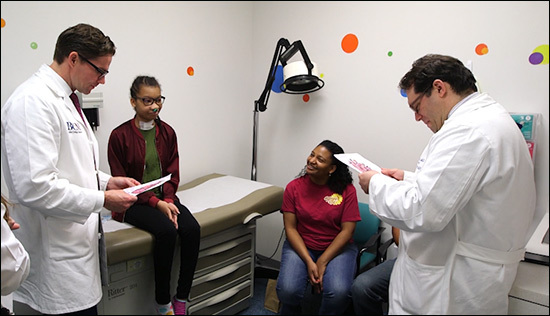 The Head and Neck Tumor Program provides additional care support through the department of Clinical Psychology and Child Life Services. The team also uses technology to enhance the patient experience, from diagnosis to recovery. The program uses 3-D modeling to reconstruct children’s anatomy to help predict the extent of resection and to develop the surgical plan. The team also developed a data-driven protocol for pediatric tracheostomy removal, in close collaboration with Speech and Language Pathology, which uses a pressure monitoring device to signal when the trach is loose enough in the airway to be removed without adverse effects. As a result of this innovative approach to care, 100 percent of patients treated have left the hospital breathing, eating and swallowing on their own. And the average stay in the hospital: just 14 days. 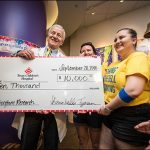 The program has been steadily building a referral base, drawing patients from across the region and from as far away as Mexico and the Middle East. 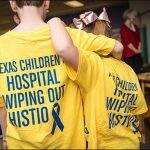 In the near term, the team will continue to solidify the program, publish data and findings, and work to increase Texas Children’s reputation as the leading referral center for these complex cases. 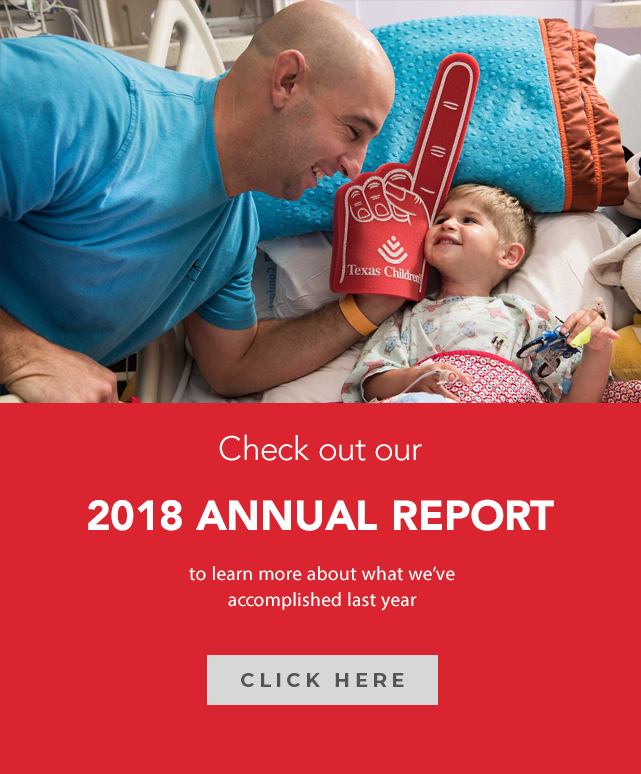 Long-term goals include building a basic science research infrastructure around understanding the underlying causes of these tumors, as well as collaborating with Texas Children’s Cancer Center and other research partners. 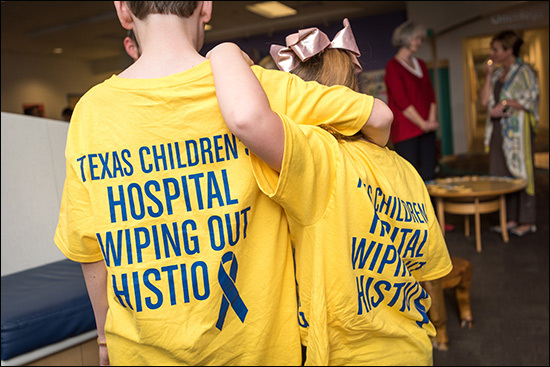 Learn more about Texas Children’s Head and Neck Tumor Program. 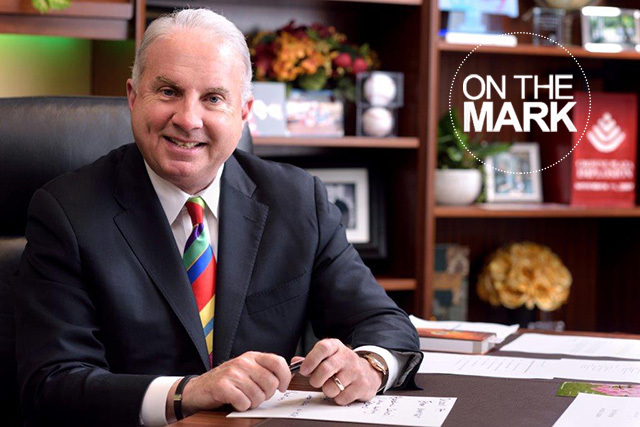 Come join over 300 walkers for the Torch Relay on Friday, October 19 at The Woodlands Waterway Marriott Hotel in The Woodlands. The relay consists of a 3-mile walk around The Woodlands Waterway, followed by an after party with food, a band, DJ, carnival games, face painting, and a balloon and caricature artist. All proceeds benefit the Children’s Miracle Network program at Texas Children’s Hospital and help children like Grace Anto, who was diagnosed with coronal suture craniosynostosis. Resilience in children means being able to adapt well to adversity, trauma or even significant sources of stress. 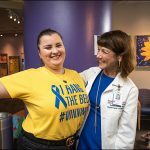 Grace Anto, a patient at Texas Children’s, is just that – resilient. “When Grace was born in August 2007, it was obvious that she had some facial deformities,” said her mom, Lynn Anto. After months of testing, Grace was given a list of diagnoses, which included coronal suture craniosynostosis, a premature fusing of bones in the skull, resulting in restricted skull growth. 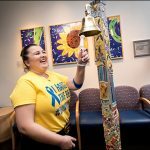 Because of her condition, Grace has had – and will continue to have – multiple stays at Texas Children’s. She has had surgery to correct the misalignment of her eyes, and multiple visits to a craniofacial orthodontist who placed an expander in her mouth. There are also future plans for jaw surgery and braces. Grace admits the surgeries are tough, “but you just have to get through it,” she said. Both she and her mom understand that surgeries are a fact of life for her and that they must remain strong for each other. As a Torch Relay participant, you can choose to join the Texas Children’s team, create your team or be an individual walker. Participants who raise $40 or more will receive a 2018 Torch Relay T-shirt, medal and drawstring bag as a thank you for participating. Participants who raise $5,000 or more will be invited to join the Torchbearer Club and attend the Torchbearer Weekend, which annually honors our top fundraisers. For additional information, visit Torch-Relay.org or email Camille Landry lclandry@texaschildrens.org. 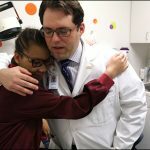 Physicians and scientists at Texas Children’s Hospital are known for treating patients with some of the most complex pediatric medical conditions. They’re also known for helping patients with some of the rarest. 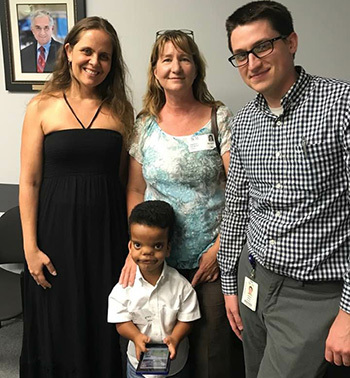 From July 18 to 22, 20 individuals with Robinow syndrome and their families came to Houston from across North America for the 25th Robinow Syndrome Foundation Convention and Medical Conference, which was hosted by Texas Children’s Hospital. This group of patients represented a large cohort – about 10 percent – of all currently documented cases of Robinow syndrome, an ultra-rare disorder that affects the development of many parts of the body, usually resulting in distinctive craniofacial features, skeletal and genitourinary abnormalities, and in some cases heart defects. Because there are several genes associated with Robinow, the physical characteristics and their severity can vary between individuals, affecting their health and quality of life in different ways. 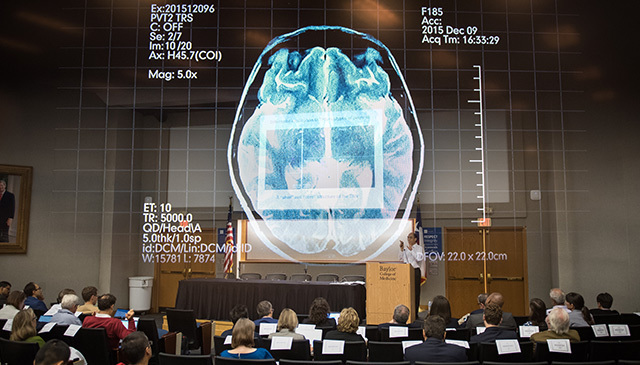 To gain a better understanding of specific health needs, and to gain new insight into the genetic reasons behind the variance in symptoms, Texas Children’s physicians held a special research day as part of the conference. The multidisciplinary effort was two years in the making and driven by the research of Texas Children’s clinical geneticist Dr. V. Reid Sutton and co-investigator, Dr. Claudia Fonseca, adjunct assistant professor of molecular and human genetics at Baylor College of Medicine, whose work together on Robinow recently garnered a grant from the Eunice Kennedy Shriver National Institute of Child Health and Human Development, part of the National Institutes of Health. Clinical and lab space was set aside specifically for the research day. Texas Children’s Child Life Department was on hand to direct families, assist with procedures, and alleviate any stress or anxiety with activities and fun ways to pass the time. 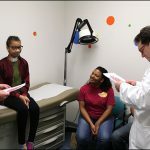 For six hours, the patients and their families met individually with teams of physicians across six different disciplines, including urology, plastic surgery, psychology, endocrinology and genetics. In addition to collecting new samples, Sutton also measured bone density in about half the patients using DEXA (dual-energy X-ray absorptiometry) scanning and high-resolution peripheral quantitative computed tomography at the Children’s Nutrition Research Center’s Body Composition Lab. Dr. Renata Maricevich from the Department of Plastic Surgery examined patients’ craniofacial symptoms, noting the health implications of structural deformities, particularly breathing and speech problems, and how surgical options could help. Additionally, a team of pediatric urology fellows and residents, led by Dr. Paul Austin, director of Texas Children’s Complex Urologic Reconstruction program and professor of Surgery for the Department of Urology at Baylor, observed patients’ genitourinary abnormalities, which can affect both appearance and function, particularly among males with Robinow. In addition to possible surgical interventions, findings from the research day demonstrated that there could be potential non-surgical treatment options for Robinow patients as well. Dr. Shilpi Relan from pediatric endocrinology spoke to families about growth hormone therapies, as well as the possibility of testosterone therapy for males to help mitigate, or perhaps even avoid, some of the genitourinary symptoms. 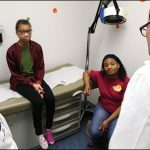 Experts at Texas Children’s also addressed the potential psychological repercussions of living with Robinow. Drs. Marni Axelrad and David Schwartz from Texas Children’s Clinical and Pediatric Health Psychology assessed cognitive and fine motor strengths and weaknesses, and created behavioral and emotional profiles for individual patients. The event was incredibly well received by the families who attended. 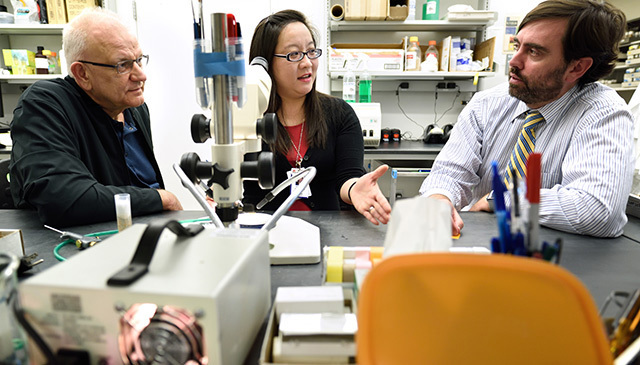 The multidisciplinary research team will reconvene in the coming months to compile their findings from the research day, as well as presenting subsequent ideas for treatment and therapies, into manuscripts for joint publication.